I would like more information about 321 Limerick Road. Better than new 2017 built home in pristine, move in ready condition! 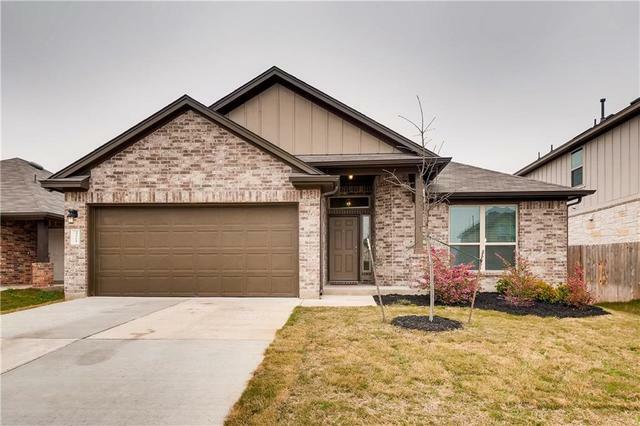 This home features an open floor-plan, granite counters, stainless appliances, tile backsplash, farmhouse style sink and covered back patio. The master suite offers, dual vanity, stand-up shower w/ separate tub & large walk-in closet. Nearby Shadow Creek amenities are within walking distance and include; community pool, covered playscape and play area, basketball court, and soccer fields. Directions: IH-35,exit 217,turn East onto Windy Hill Rd, turn left onto Shadow Creek Blvd, turn left onto Spanish Trails Rd.,turn right onto Heron, turn left onto Limerick Rd. house on right side.